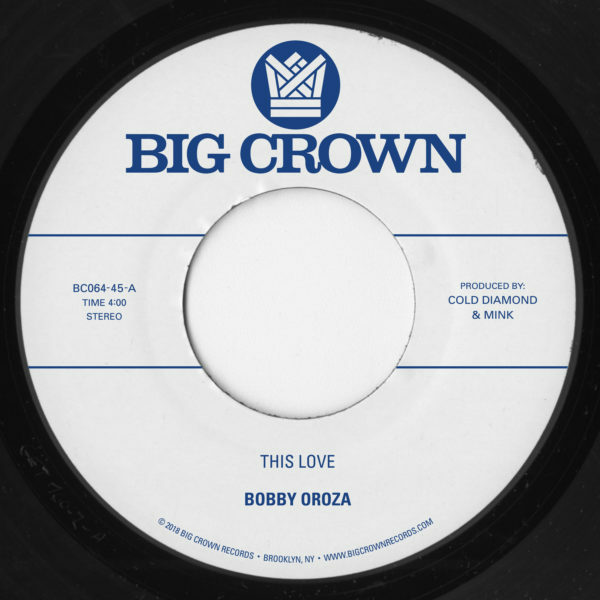 Bobby Oroza’s debut single “This Love” has already made it’s way from Finland where it was recorded around the world and into the hearts of soul music lovers. Bobby’s emotion drenched vocals paired with Cold Diamond & Mink’s production make for a modern day soul song that walks the line between gritty and sweet. Already a favorite in the Chicano Soul / lowrider scene this tune leaves everyone who hears it waiting for more. Bobby Oroza’s full length debut is due out in late 2018 on Big Crown Records. Stay tuned.